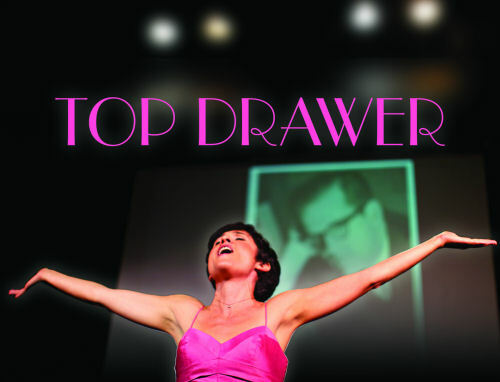 This Thursday, September 26th, at 8PM, Adelaide Mestre will perform her one-woman show, “Top Drawer” at Symphony Space on Broadway at New York’s Upper West Side. Gather up your friends and family and experience Adelaide’s raw and riveting journey from the privileged classes on Park Avenue to her family’s Latino legacy in Havana, Cuba. Her story spans over 45 years and exposes family secrets, eccentricities, and an opulent life rife with dysfunction and how she came to redemption — the journey is told through music and storytelling. Born into privilege, Adelaide’s mother was a socialite and an opera singer; her father was a concert pianist whose homosexuality, manic depression and tragic death help shape her story. She is the great grand-daughter of Chicago’s department store legend, Marshall Field. “Top Drawer” is directed by Coco Cohn (Mamma Mia!) with Doug Oberhamer at the piano. Instant Karma’s Gonna Get You!